HTC is recently released the third successor of their HTC One series. 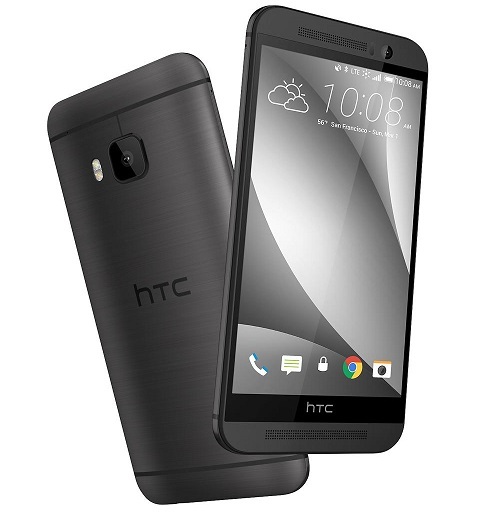 The One M9, also known as HTC One Hima, is currently available for most GSM networks in gray or gold. It is preloaded with Lollipop and still uses a nano-sim card. This model comes with 32GB of internal memory and can be externally expanded up to 128GB with a micro SD card. The One M9 has a 5″ super LCD3 touch screen with HTC Sense UI 7.0 and Corning Gorilla Glass. Its 20.7MP camera is currently the best camera on any Android device on the market. Alongside its sapphire camera cover lens, 2160p video recorder, and 4MP front-facing camera – you can capture clarity and vibrance in every image and video. The HTC One M9 also supports HTC BoomSound with Dolby Audio and a built in amp. Sound is crisp and clear whether you’re using the speaker or your headphones. HTC has exceeded expectations previously set based on the One M8. The Snapdragon Qualcomm octa-core processor, Adreno 430 and 3GB RAM provides efficiency, high performance and an exceptional gaming interface. The body itself is all metal and features mirrord edges and curved back to fit your hand like a glove. The HTC One M9 is a top competitor on the Android market right now and is in high demand! Once unlocked, this device can be used with any compatible GSM network around the world. Unlocking your HTC One M9 is fast, simple and 100% guaranteed by Cellunlocker.net. Unlock your HTC One M9 with Cellunlocker.net today and receive your network unlock pin on the same day! Why Unlock your HTC One M9 with Cellunlocker.net? Unlock Your HTC One M9 Today!